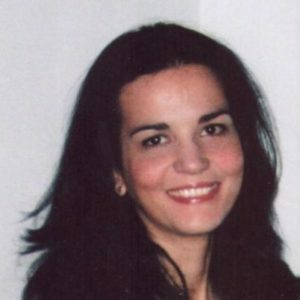 Ms Alexandra Laiou is a Civil-Transportation Engineer, Senior Research Associate in the Department of Transportation Planning and Engineering of the School of Civil Engineering at the National Technical University of Athens (NTUA). She holds a Civil Engineering Diploma from NTUA majoring in Transportation Engineering and an MSc in Construction Project Management from Edinburgh Napier University. She speaks Greek (native speaker), English (fluently) and French (sufficiently). She has more than 13 years of experience in transportation planning and engineering, specializingin road safety, engineering project management and transportation planning and management. She has participated in more than 28 research and engineering projects in Greece and abroad, she has published more than 55 scientific papers and she has participated in more than 35 scientific conferences and workshops. 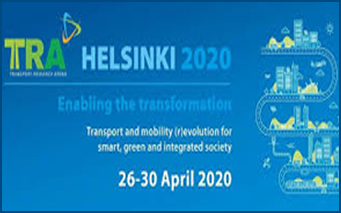 Participation in twenty one (21) research projects in the field of Transportation Planning and Engineering. 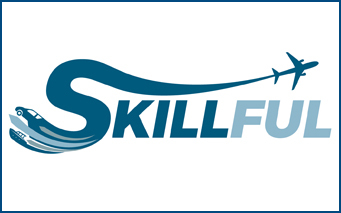 Participation in seven (7) projects in the field of Transportation Planning and Engineering. 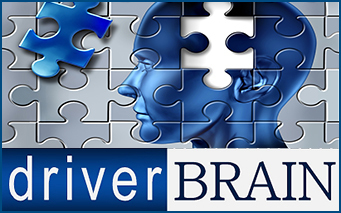 Reviewer of papers to be published in the scientific journal “JSM Burns and Trauma” (2017-). At the present time (April 2018) fifty-seven (57) publications have been made. At the present time (April 2018) eight (8) papers have been published in scientific journals. Yannis G., Dragomanovits A., Laiou A., La Torre F., Domenichini L., Richter T., Ruhl S., Graham D., Karathodorou N. (2017). “Road traffic accident prediction modelling: a literature review”, Proceedings of the ICE – Transport, Vol. 170, Issue 5, pp. 245-254. Yannis G., Laiou A., Papantoniou P., Gkartzonikas C. (2016).“Simulation of Texting Impact on Young Drivers’ Behaviour and Safety on Motorways”, Journal of Transportation Research – Part F: Traffic Psychology and Behaviour, Vol 41, Part A, August 2016, pp.10-18. Yannis G., Laiou A. (2014).“Current road safety trends in Greece”, PeriodicaPolytechnica – Transportation Engineering, Vol 42, No 2, pp. 145-151. Yannis G., Laiou A., Papantoniou P., Christoforou C. (2014).“Impact of Texting on Young Drivers’ Behaviour and Safety on Urban and Rural Roads through a Simulation Experiment”, Journal of Safety Research, Special Issue, Vol 49, pp. 25.e1-31. Yannis G., Laiou A., Vardaki S., Papadimitriou E., Dragomanovits A., Kanellaidis G. (2013).“An analysis of mobile phone use by car drivers in Greece”, Proceedings of the ICE – Transport, Vol. 168, Issue 2, pp. 161-171. Yannis G., Laiou A., Vardaki S., Papadimitriou E., Dragomanovits A., Kanellaidis G. (2012).“A statistical analysis of motorcycle helmet wearing in Greece”, Advances in Transportation Studies – An International Journal, XXVII Issue, Section Β27, July 2012, pp.69-82. Yannis G., Laiou A., Vardaki S., Papadimitriou E., Dragomanovits A., Κanellaidis G. (2011).“Parameters affecting seat belt use in Greece”, International Journal of Injury Control and Safety Promotion, Vol.18, No 3, September 2011, pp.189-197. Υannis G., Laiou A., Vardaki S., Kanellaidis G. (2007).“An exploration of road safety parameters in Greece and Turkey”, Journal of Transport and Shipping, Issue 4, pp.125-134. At the present time (April 2018) six (6) papers have been published in scientific journals. Laiou A., Papadimitriou E., Yannis G., Milotti A. (2017) “Road safety data and information availability and priorities in South-East European regions”, Transportation Research Procedia, Vol 25, 2017, pp. 3703-3714. 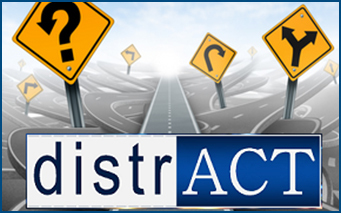 Persia L., Shingo Usami D., De Simone F., Feypell V., Yannis G., Laiou A., Han S., Machata K., Pennisi L., Marchesini P., Salathè M. (2016) “Management of Road Infrastructure Safety”, Transportation Research Procedia, Vol 14, 2016, pp. 3436-3445. La Torre F., Domenichini L., Meocci M., Graham D., Karathodorou N., Richter T., Ruhl S., Yannis G., Dragomanovits A., Laiou A. (2016) “Development of a transnational accident prediction model”, Transportation Research Procedia, Vol 14, 2016, pp. 1772-1781. 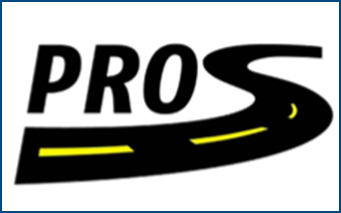 Yannis G., Dragomanovits A., Laiou A., Richter T., Ruhl S., La Torre F., Domenichini L., Graham D., Karathodorou N., Li H. (2016) “Use of accident prediction models in road safety management – an international inquiry”, Transportation Research Procedia, Vol 14, 2016, pp. 4257-4266. 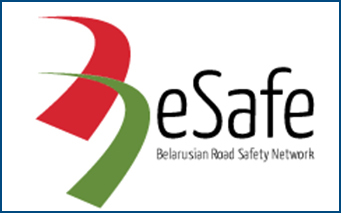 Laiou A., Theofilatos A., Mavromatis S., Yannis G., Azemsha S. (2016) “An Exploration of Road Safety Parameters in Belarus and the European Union”, Transportation Research Procedia, Vol 14, 2016, pp. 2083-2090. Laiou A., Yannis G., Milotti A., Piccoli G. (2016) “Road Safety Investments and Interventions in South East Europe”, Transportation Research Procedia, Vol 14, 2016, pp. 3406-3415. At the present time (April 2018) forty-three (43) papers have been published in scientific conference proceedings (full papers with review). 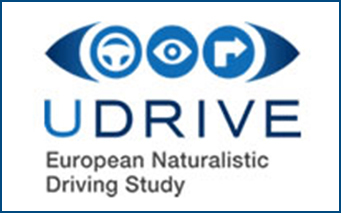 Yannis G., Mavromatis S., Laiou A., Tripodi A., Persia L. (2018) “Developing the African Road Safety Observatory”, Transport Research Arena (TRA) 2018, Vienna, Austria, 16-19 April. 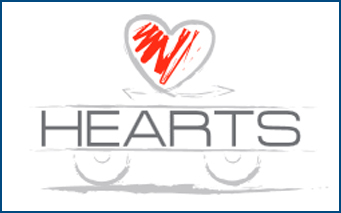 Nævestad T.O., Størkersen K.V., Laiou A., Yannis G. (2018) “Safety culture in maritime cargo transport in Norway and Greece: which factors predict unsafe maritime behaviours?”, Transport Research Arena (TRA) 2018, Vienna, Austria, 16-19 April. Yannis G., Laiou A., Folla K., Bauer R., Machata K., Brandstaetter C. (2018) “Characteristics of single vehicle accidents in Europe”, Transport Research Arena (TRA) 2018, Vienna, Austria, 16-19 April. Pomoni M., Laiou A., Plati C., Yannis G., Loukea M., Bekiaris E. (2018) “Demographic, behavioural, cultural and socioeconomic factors on transport sector workforce in Europe”, Transport Research Arena (TRA) 2018, Vienna, Austria, 16-19 April. Mavromatis S., Apostoleris K., Laiou A., Yannis G., Psarianos B. (2018) “Acceleration impact investigation for control road geometry parameters”, Transportation Research Board 2018, Washington D.C., U.S.A., 7-11 January. Thomas P., Breen J., Yannis G., Laiou A., Folla K., Theofilatos A. 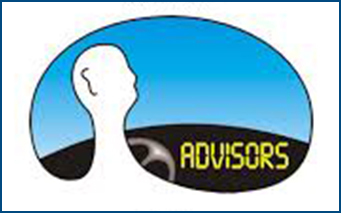 (2017) “Review of Advanced Driver Assistance Systems”, “Smart Cities and Mobility as a Service” International Conference, Patras, Greece, 7-8 December. Breen J., Yannis G., Laiou A. (2017) “An overview of serious road injuries in EU countriesb“, Road Safety & Simulation International Conference – RSS2017, The Hague, Netherlands, 17-19 October. 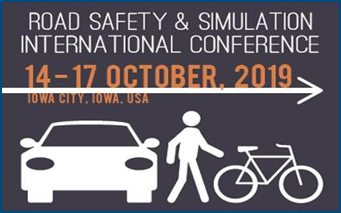 Laiou A., Theofilatos A., Yannis G., Meesmann U., Torfs K., Trotta M. (2017) “Road users’ safety attitudes towards speeding“, Road Safety & Simulation International Conference – RSS2017, The Hague, Netherlands, 17-19 October. Nævestad T.O., Phillips R.O, Laiou A., Yannis G. (2017) “Safety culture in professional road transport in Norway and Greece”, Road Safety & Simulation International Conference – RSS2017, The Hague, Netherlands, 17-19 October. Mavromatis S., Laiou A., Yannis G., (2017) “Safety Assessment of Control Design Parameters through Vehicle Dynamics Model”, Road Safety & Simulation International Conference – RSS2017, The Hague, Netherlands, 17-19 October. 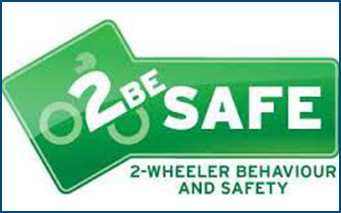 Nævestad T.O, Phillips R.O., Laiou A., Yannis G. (2017) “Road safety culture among HGV drivers in Norway and Greece: Why do Greek HGV drivers commit more aggressive violations in traffic?“, 9th International Conference on the Prevention of Accidents at Work, Prague, Czech Republic, 3-6 October. Nævestad T.O, Størkersen K.V., Laiou A., Yannis G. (2017) “Occupational safety in Norwegian maritime transport: a comparison of respondents from cargo and passenger vessels“, 8th International Congress on Transport Research, Thessaloniki, Greece, 27-29 September. Laiou A., Yannis G., Folla K., Bauer R., Machata K., Brandstaetter C. (2017) “An overview of road accident fatalities in the European Union“, 8th International Congress on Transport Research, Thessaloniki, Greece, 27-29 September. Mavromatis S., Yannis G., Laiou A., Tripodi Α., Persia L. (2017) “Assessing Road Safety Management in Africa”, 8th International Congress on Transport Research, Thessaloniki, Greece, 27-29 September. 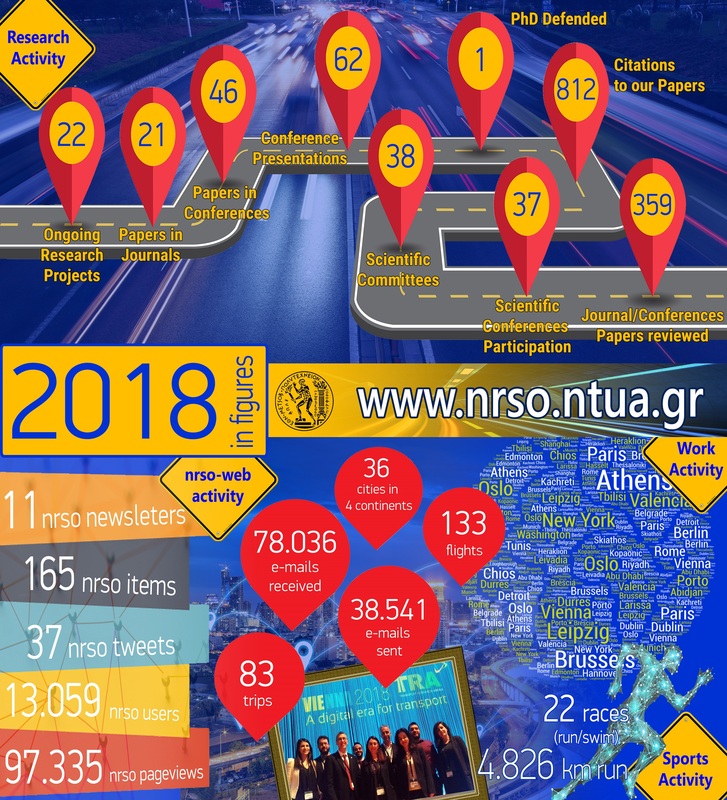 Dragomanovits A., Yannis G., Laiou A., La Torre F., Domenichini L., Richter T., Ruhl S., Graham D., Karathodorou N. (2017) “Predicting Road ACcidents – a Transferable methodology across Europe“, 8th International Congress on Transport Research, Thessaloniki, Greece, 27-29 September. Bauer R., Machata K., Brandstätter C., Yannis G., Laiou A., Folla K.,“Road traffic accidents in European urban areas”, Proceedings of the 1st European Road Infrastructure Congress, Leeds, United Kingdom, 18-20 October 2016. Yannis G., Laiou A., Folla K., Bauer R., Machata K., Brandstätter C., “Comparative analysis of road accidents in the European motorways”, Proceedings of the 1st European Road Infrastructure Congress, Leeds, United Kingdom, 18-20 October 2016. Yannis G., Dragomanovits A., Laiou A., La Torre F., Domenichini L., Richter T., Ruhl S., Graham D., Karathodorou N. “Development of an online Repository of Accident Prediction Models and Crash Modification Factors”, Proceedings of the 1st European Road Infrastructure Congress, Leeds, United Kingdom, 18-20 October 2016. 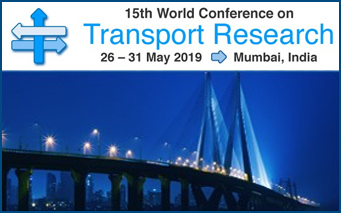 Laiou A., Papadimitriou E., Yannis G., Milotti A.,“Road safety data and information availability and priorities in South-East European regions”, Proceedings of the 14th World Conference on Transport Research, Shanghai, China, 10-15 July 2016. Yannis G., Laiou A., Folla K., Bauer R., Machata K., Brandstaetter C., Thomas P., Kirk A. “Overview of car occupant fatalities in the European countries”, Proceedings of the 7th ESAR (Expert Symposium on Accident Research) Conference Hannover, Germany, 09th –10th June 2016. Karathodorou N., Graham D.J., La Torre F., Domenichini L., Richter T., Ruhl S., Yannis G., Dragomanovits A., Laiou A., “Development of a crash modification factors model in Europe”, Proceedings of the “Road Safety in Five Continents” Conference, Rio de Janeiro, Brazil, 17-19 May 2016. Persia L., Shingo Usami D., De Simone F., Feypell V., Yannis G., Laiou A., Han S., Machata K., Pennisi L., Marchesini P., Salathè M., “Management of Road Infrastructure Safety”, Proceedings of the Transport Research Arena (TRA) 2016 Conference, Warsaw, Poland, 18-21 April 2016. La Torre F., Domenichini L., Meocci M., GrahamD., Karathodorou N., Richter T., Ruhl S., Yannis G., Dragomanovits A., Laiou A., “Development of a transnational accident prediction model”, Proceedings of the Transport Research Arena (TRA) 2016 Conference, Warsaw, Poland, 18-21 April 2016. 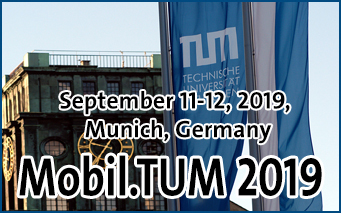 Yannis G., Dragomanovits A., Laiou A., Richter T., Ruhl S., La Torre F., Domenichini L., Graham D., Karathodorou N., Li H.,“Use of accident prediction models in road safety management – an international inquiry”, Proceedings of the Transport Research Arena (TRA) 2016 Conference, Warsaw, Poland, 18-21 April 2016. 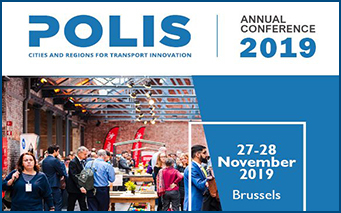 Laiou A., Theofilatos A., Mavromatis S., Yannis G., Azemsha S., “An Exploration of Road Safety Parameters in Belarus and the European Union”, Proceedings of the Transport Research Arena (TRA) 2016 Conference, Warsaw, Poland, 18-21 April 2016. Laiou A., Yannis G., Milotti A., Piccoli G.,“Road Safety Investments and Interventions in South East Europe”, Proceedings of the Transport Research Arena (TRA) 2016 Conference, Warsaw, Poland, 18-21 April 2016. 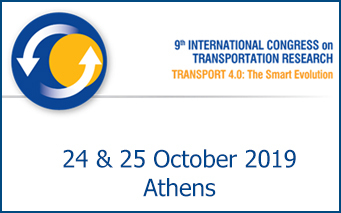 Mavromatis S., Laiou A., Yannis G., Barnes J., Giustiniani G., Persia L.,“Road Safety Training through a Master Course in Belarus”, Proceedings of the 7th International Congress on Transport Research “From Basic research to innovative applications”, Athens, Greece, 5-6 November 2015. Yannis G., Mavromatis S., Laiou A., “Integrated Speed Management Policies in Local Communities in South-East Europe”, Proceedings of the 10th Annual Conference “Road safety in local communities”, Kragujevac, Serbia, 22-25 April 2015. Laiou A., Yannis G., Možina K.,“A Speed Management Strategy for the Peloponnese”, Proceedings of the 6th Pan-Hellenic Road Safety Conference, Athens, Greece, 12-13 March 2015. 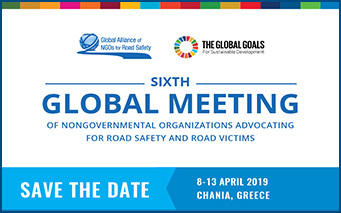 Yannis G., Laiou A., Piccoli G.,“Road Safety in South-East European Regions”, Proceedings of the 6th Pan-Hellenic Road Safety Conference, Athens, Greece, 12-13 March 2015. Yannis G., Laiou A., Evgenikos P.,“Road Safety Management in Greece”, Proceedings of the Regional Road Safety Capacity Building Workshop, Belgrade, Serbia, 15-16 October 2014. Yannis G., Tira M., Tiboni M., Panea L., Kiss Á., Török Á., Laiou A., Marinko V., Kostanjšek J., Leskovšek B., Vankov B., Piccoli G.,“Assessment of road safety legislation, policy and institutional capacity in South-East European regions”, Proceedings of the Transport Research Arena (TRA) 2014 Conference, Paris, France, 14-17 April 2014. Yannis G., Laiou A., Papadimitriou E., Chaziris A.“An Application of a Road Network Safety Performance Indicator”, Proceedings of the International Conference “Transport Safety Performance Indicators”, Belgrade, Serbia, 6 March 2014. Yannis G., Laiou A., Papantoniou P., Christoforou C.,“Simulation of Texting Impact on Young Drivers Behaviour and Safety in Urban and Rural Roads”, Proceedings of the Road Safety and Simulation International Conference RSS2013, Rome, Italy, 22-25October 2013. Yannis G., Laiou A., Papantoniou P., Gkartzonikas C., “Impact of Texting on Young Drivers’ Traffic and Safety on Motorways by the Use of a Driving Simulator”, Proceedings of the 3rd International Conference on Driver Distraction and Inattention, Gothenburg, Sweden, 4-6September 2013. Kanellaidis G., Yannis G., Vardaki S., Laiou A.,“Development of a Strategic Plan for the improvement of road safety in Greece, 2011-2020”, Proceedings of the 5th National Conference on Road Safety, Volos, Greece, 25-26 October 2012. Dragomanovits A., Laiou A., Vardaki S., Yannis G., Kanellaidis G.,“Application of a method for the identification of high risk sites and the selection of countermeasures on a rural road”, Proceedings of the 5th National Conference on Road Safety, Volos, Greece, 25-26 October 2012. Vardaki S., Yannis G., Laiou A., Kanellaidis G.,“Supporting older drivers in making safe driving decisions”, Proceedings of the 5th National Conference on Road Safety, Volos, Greece, 25-26 October 2012. Kanellaidis G., Yannis G., Vardaki S., Laiou A., “Development of a Strategic Plan for the improvement of road safety in Greece, 2011-2020”, Proceedings of the 3rd National Conference on Road Design, Athens, Greece, 9-10 February 2012. Vardaki S., Papadimitriou F., Kopelias P., Panagakis A., Dragomanovits A., Laiou A., Mertzanis F., Halkias B., Kanellaidis G., “Road Safety Inspection: principles and application in Greece”, Proceedings of the 3rd National Conference on Road Design, Athens, Greece, 9-10 February 2012. Yannis G., Laiou A., Vardaki S., Dragomanovits A., Papadimitriou E., Kanellaidis G., “Use of seat belt and helmet in Greece”, Proceedings of the 4th National Conference on Road Safety, Athens, Greece, 5-6 November 2009. Yannis G., Laiou A., Vardaki S., Kanellaidis G. “A critical review of road safety targets in Europe”, Proceedings of the 4th International Congress on Transport Research in Greece, Athens, Greece, 28-30 May 2008. Kanellaidis G., Yannis G., Vardaki S., Dragomanovits A., Laiou A., “Development of a Strategic Plan for the improvement of road safety in Greece, 2006-2010”, Proceedings of the 3rd National road safety conference, Patra, Greece, 10-11 October 2005. At the present time (April 2018) forty-nine (49) presentations have been made in scientific conferences (abstract with review and oral presentation/poster). 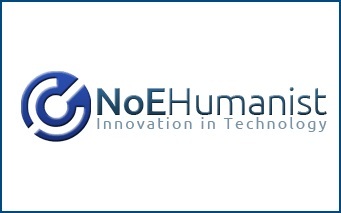 Yannis G., Thomas P., Breen J., Laiou A., Folla K., Papantoniou P. (2018) “A Critical Review of Advanced Driver Assistance Systems and Effectiveness Analysis”, Intelligent Transport Systems – ITS Hellas 2018, Athens, 23-24 January. Papantoniou P., Laiou A., Yannis G. (2018) “Problems and solutions on the road environment for children road safety”, 3rd Interdisciplinary Conference “Society of Traffic and Road Safety: Crossing Glances”, Athens, Greece, 7-8 January 2018. Yannis G., Laiou A. (2017) “Road Safety Training for Professional Drivers: worldwide practices”, International Conference on Traffic Safety “The impact of Education and Training on Traffic Behaviour”, Abu Dhabi, UAE. 1-2 November. Yannis G., Mavromatis S., Laiou A., Tripodi A., Usami D., Persia L. (2017) “SaferAfrica Innovating dialogue and problems appraisal for a safer Africa”, 25th IRTAD Meeting, Marrakesh, Morocco, 13 October 2017. Mavromatis S., Folla K., Laiou A., Yannis G. (2017) “Greek Road Safety Statistics – Best Practices”, Workshop “How to achieve Transport – and Trade-related Sustainable Development Goals (SDGs), Podgorica, Montenegro, 11-12 October. Yannis G., Mavromatis S., Laiou A., Tripodi A., Usami D., Persia L. (2017) “Pan-African Road Safety Knowledge and Data Centre”, 6th IRTAD Conference “Better Road Safety Data for Better Safety Outcomes” Marrakesh, Morocco, 11-12 October. Diamandouros K., Bauer R., Folla K., Laiou A., Machata K., Brandstaetter C., Yannis G. (2017) “Current and future challenges of the European Road Safety Observatory”, 6th IRTAD Conference “Better Road Safety Data for Better Safety Outcomes” Marrakesh, Morocco, 11-12 October. Papadimitriou E., Folla K., Mavromatis S., Laiou A., Macaluso G., Yannis G. (2017) “An overview of road safety statistics in Africa”, 6th IRTAD Conference “Better Road Safety Data for Better Safety Outcomes” Marrakesh, Morocco,11-12 October. Laiou A., Yannis G., Naevestad T.O. 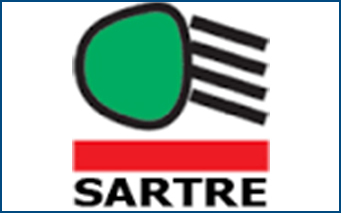 (2017) “The SafeCulture project – Results on safety culture in professional transport in Greece”, International Workshop “Promotion of Road Safety Culture”, Herakleio, Greece, 29 May 2017. 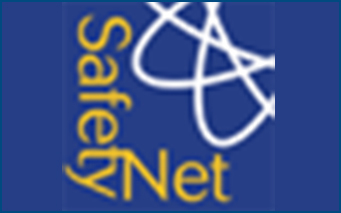 Laiou A., Yannis G. (2017) “Monitoring road safety culture in Europe – SafeCulture”, Workshop “The Future of Road Safety Research, 2017”, Athens, Greece, 15 May 2017. Mavromatis S., Laiou A., Folla K., Papadimitriou E., Yannis G. (2017) “The African Road Safety Observatory – SaferAfrica”, Workshop “The Future of Road Safety Research, 2017”, Athens, Greece, 15 May 2017. 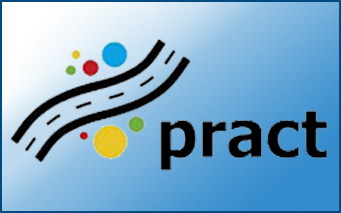 Dragomanovits A., Laiou A., Yannis G. (2017) “The CEDR Road Safety APM and CMF Repository – PRACT”, Workshop “The Future of Road Safety Research, 2017”, Athens, Greece, 15 May 2017. 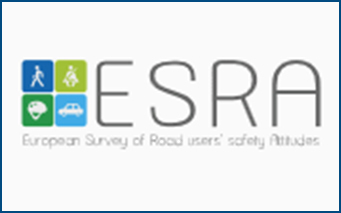 Orfanou F., Laiou A., Theofilatos A., Yannis G. (2017) “Monitoring road safety attitudes in Europe – ESRA”, Workshop “The Future of Road Safety Research, 2017”, Athens, Greece, 15 May 2017. Evgenikos P., Papadimitriou E., Laiou A., Folla K., Dragomanovits A., Pavlou D., Yannis G. (2017) “The European Road Safety Observatory – ERSO”, Workshop “The Future of Road Safety Research, 2017”, Athens, Greece, 15 May 2017. Papadimitriou E., Theofilatos A., Ziakopoulos A., Laiou A., Folla K., Marinos C., Yannis Y. 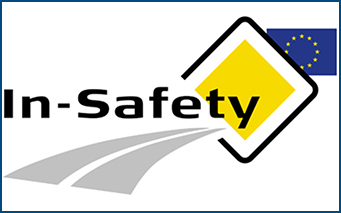 (2017) “The European Road Safety Decision Support System – SafetyCube”, Workshop “The Future of Road Safety Research, 2017”, Athens, Greece, 15 May 2017. 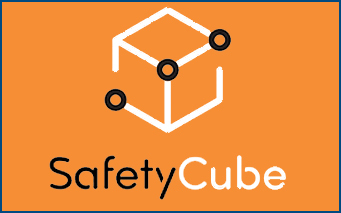 Ziakopoulos A., Papadimitriou E., Theofilatos A., Laiou A., Folla K., Marinos C., Yannis G. (2017) “Monitoring road safety risk factors and measures – SafetyCube“, Workshop “The Future of Road Safety Research, 2017”, Athens, Greece, 15 May 2017. Vlahogianni E., Papadimitriou E., Pavlou D., Laiou A., Yannis G. (2017) “Monitoring behaviour of older road users in Europe – ElderSafe”, Workshop “The Future of Road Safety Research, 2017”, Athens, Greece, 15 May 2017. Pavlou D., Laiou A., Yannis G. (2017) “Problems and solutions for children road safety in developed countries”, International Interdisciplinary Conference “Road Safety for Children”, Thessaloniki, Greece, 19-21 May 2017. Mavromatis S., Yannis G., Laiou A., (2017) “Road Safety Investments and Interventions in South East Europe”, 13th PRI World Congress “Road Governance & Its Impact on road safety: Achieving Road Safety Targets”, Tunisia, Tunis, 3-7 May 2017. Yannis G., Mavromatis S., Laiou A., (2016) “Safety Performance Indicators”, Road Safety in Africa Workshop, Nairobi, Kenya, 13-15 December 2016. 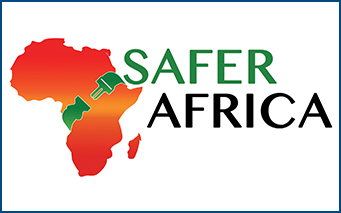 Mavromatis S., Yannis G., Laiou A., (2016) “The SaferAfrica Road Safety Observatory”, Road Safety in Africa Workshop, Nairobi, Kenya, 13-15 December 2016. 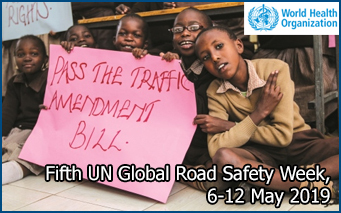 Mavromatis S., Yannis G., Laiou A.,(2016) “Basic Aspects of Road Safety (Short Questionnaire)”, Road Safety in Africa Workshop, Nairobi, Kenya, 13-15 December 2016. Papadimitriou E., Yannis G., Laiou A., “Best Practices for Efficient Traffic Safety LawEnforcement Programs”, 3rd International Congress “Traffic Enforcement: Challenges & Perspectives”, Abu Dhabi, UAE, 2-3 November 2016. Laiou A., Folla K., Yannis G., Bauer R., Machata K., Brandstaetter C., Thomas P., Kirk A.,“Comparative analysis of road accidents by gender in Europe”, 12th World Conference on Injury Prevention and Safety Promotion, Tampere, Finland, 18-21 September 2016. Folla K., Yannis G., Laiou A., “Characteristics of road accidents with youngsters in Europe”, 12th World Conference on Injury Prevention and Safety Promotion, Tampere, Finland, 18-21 September 2016. Mavromatis S., Yannis G., Laiou A.,“Road Safety Investments and Interventions in South East Europe”, International Conference “Benchmarking Albania towards EU Road Safety”, Tirana, Albania, 6 July 2016. Yannis G., Mavromatis S., Laiou A.,“Monitoring Road Safety Policies and Performance”, International Conference “The Reliability of Statistics & Databases in Measuring Road Safety Performance Index (PIN)”, Tunis, Tunisia, 6-7 May 2016. Yannis G., MavromatisS., Laiou A., “Developing efficient traffic safety law enforcement programmes in rapidly developing countries”, 24th World Congress of the International Traffic Medicine Association, Doha, Qatar, 16-18 November 2015. Yannis G., Laiou A., “Road Infrastructure Safety Management”, “Road accidents, Injury and Rehabilitation” International Conference, Herakleio, Greece, 22-23 October 2015. Yannis G., Mavromatis S., Laiou A., “Monitoring Road Safety Policies and Performance”, 1st Danube Region Road Safety Conference, Ljubljana, Slovenia, 20 May 2015. Yannis G., Mavromatis S., Laiou A., “Monitoring Road Safety Policies and Performance”, Regional Conference on “Road Traffic Safety and Activities within the Decade of Action for Road Safety 2011-2020”, Prishtina, Kosovo, 29 April 2015. Yannis G., Laiou A., “Proposals for Road Infrastructure Safety Investments and Interventions in South East Europe”, International Conference “Infrastructures and Behaviours to Enhance Road Safety”, Brescia, Italy, 21 November 2014. Yannis G., Laiou A., Evgenikos P., “Road Safety in South-East Europe”, “Road Infrastructure Safety” Workshop, Athens, Greece, 20 November 2014. Yannis G., Laiou A., Evgenikos P., “Road Safety Management in South-East Europe”, “Regional Road Safety Capacity Building Workshop”, Belgrade, Serbia, 15-16 October 2014. Yannis G., Laiou A., Evgenikos P. “Road Safety Management in Greece”, “Regional Road Safety Capacity Building Workshop”, Belgrade, Serbia, 15-16 October 2014. 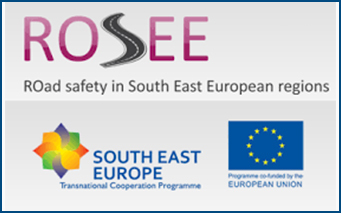 Yannis G., Laiou A.,“Proposals for Road Safety Investments and Interventions in South East Europe”, Road Safety Workshop within the ROSEE – ROad Safety in South-East European regions project, Athens, Greece, 2 October 2014. Yannis G., Laiou A.,“Proposals for Road Safety Investments and Interventions in South East Europe”, SEROC Final Conference “Road Safety: risk mapping, infrastructures and behaviour”, Ljubljana, Slovenia, 25 September 2014. Yannis G., Laiou A., “Road Safety in South-East Europe – The ROSEE Transnational Report”, Transnational Road Safety Workshop, Budapest, Hungary, 9 April 2014. Yannis G., Laiou A., Evgenikos P., Papantoniou P., “Safety of vulnerable road users”, Road Safety Month in Crete, Herakleio, Agios Nikolaos, Rethimno, Chania, Greece, 8-18 November 2013. Yannis G., Laiou A., Evgenikos P., Papantoniou P., “Road safety enforcement”, Road Safety Month in Crete, Herakleio, Agios Nikolaos, Rethimno, Chania, Greece, 8-18 November 2013. Yannis G., Laiou A., Evgenikos P., Papantoniou P., “Speed Management”, Road Safety Month in Crete, Herakleio, Agios Nikolaos, Rethimno, Chania, Greece, 8-18 November 2013. Yannis G., Laiou A., “Road safety policy and data analysis in the South East European countries”, International Conference “Engaging Stakeholders towards Road Safety – Assessing and Investing in the Infrastructure Safety and Improving Road User Behaviour on South East European Roads”, Ljubljana, Slovenia, 7 November 2013. 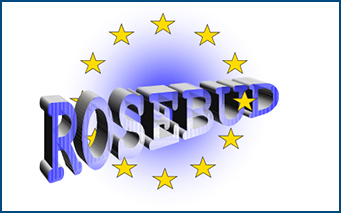 Evgenikos P., Yannis G., Laiou A., “Road Safety Assessment Tools”, ROSEE Project Workshop within the Transport Logistic Fair, Munich, Germany, 4-7 June 2013. Kanellaidis G., Yannis G., Vardaki S., Laiou A.,“A Road Safety Strategy for Greece”, Conference on Improving Road Safety in the BSEC Region, United Nations Economic Commission for Europe – Organisation of Black Sea Economic Cooperation, Ioannina, Greece, 18-19 November 2010. Kanellaidis G., Golias J., Yannis G., Vardaki S., Dragomanovits A., Laiou A., “Strategic planning for the improvement of road safety in Greece”, Symposium for the 170 years of the School of Civil Engineering of the NTUA, Athens, Greece, 5-6 December 2007. Kanellaidis G., Golias J., Yannis G., Vardaki S., Dragomanovits A., Laiou A., “Strategic Planning for the improvement of road safety in Greece”, Proceedings of the Symposium: “The National Technical University of Athens pioneer in research and technology”, Athens, Greece, 4 December 2007. Kanellaidis G., Yannis G., Vardaki S., Dragomanovits A., Laiou A., “Presentation of the 2nd Road Safety Strategic Plan”, Meeting of the Hellenic Institute of Transportation Engineers and the Road Safety Institute “PanosMylonas” during the 1st Global Road Safety Week, Athens, Greece, 24 April 2007. Kanellaidis G., Yannis G., Vardaki S., Dragomanovits A., Laiou A.,“Strategic Planning for the improvement of road safety”, Proceedings of the 5th Conference and Exhibition on Security “ExpoSec 2006, Homeland and Corporate Security”, Athens, Greece, 28-29 March 2006. Kanellaidis G., Yannis G., Vardaki S., Dragomanovits A., Laiou A., “Development of a Strategic Plan for the improvement of road safety in Greece, 2006-2010”, Meeting of the Road Safety Institute “PanosMylonas”, Athens, Greece, 8 November 2005. Laiou A., “Shortening completion time of public works through concurrent engineering: application in Greece”, Dissertation Thesis,MSc Programme in Construction Project Management, School of Engineering& the Built Environment, EdinburghNapier University, September 2009. Laiou A., “Investigation of the influence of driver’s gender and age on accident risk and on the type of road accidents“,Diploma Thesis, School of Civil Engineering, National Technical University of Athens, Athens. English: Certificate of Proficiency in English (Michigan University). Sufficiency of Teaching English.